It is an exciting day here in Expat Land: we’re madly flapping our wings for take-off, determined to catch the wind currents, achieve flight and soar. Today marks the book launch of the second edition of Forced to Fly: An Anthology of Writings That Will Make You See the Funny Side of Living Abroad (Jo Parfitt, editor & publisher, Summertime Publishing, 2012). 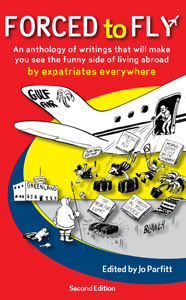 This is no simple reprint; the immensely popular book of humorous stories of expats traveling far and wide, finding themselves in exotic (and not-so-exotic) faraway lands and ridiculous situations has been updated considerably. Sure, the same great stories and suggestions for making it through those tough transition days that made this book a hit the first time around are all still there. The tales of culture shock, culture clash, overwhelming change, figuring out who you are when most elements of your identity (family, friends, work, language, activities, community, culture) have been stripped away, creative fixes and innovative workarounds, eventual adjustment, simply trying to make it day by day, and repatriation will amuse and delight you. Some will have you laughing uproariously, and others will also tug at your heartstrings and have you nodding in empathy. Now Jo’s brought Forced to Fly firmly into the 21st century with a chapter on the importance of emotional resilience in expat life (woman after my own heart) as well as twenty more amusing stories from authors, writers and bloggers who’ve been there, done that and lived to tell the tale(s). Yours Truly is over the moon to join the ranks of such luminaries as Apple Gidley (Expat Apple), Jack Scott (Perking the Pansies), Deb Fletcher (Bitten by Spain), Wordgeyser, Niamh Ni Bhroin (The Singing Warrior), and many others in contributing to this book. The ultimate ‘expert expat’, Robin Pascoe, graciously provides the foreword. I could blabber and gush and make a complete fool of myself over Robin Pascoe, so let’s just say I’ve read five of her highly regarded books on making your way in expatriate life and leave it at that. I’m in very fine company indeed, wowed beyond words. 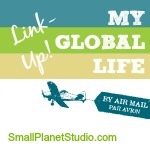 Earlier this week I had a fun conversation with fellow contributor and friend Maria Foley of I Was an Expat Wife. We chatted about finding the hilarity in expat life, writing humor and how laughter can keep you moving forward. And yes, we laughed almost the entire conversation. I’m in the midst of a technical snafu, but posting difficulties will be overcome and I’ll share Maria’s words of wisdom ASAP. 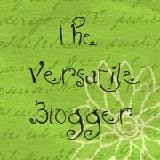 In the meantime, why not wander over to her site and see what we were up to? And by all means, please check out Forced to Fly: An Anthology of Writings That Will Make You See the Funny Side of Living Abroad. You can find it at Jo’s Expat Bookshelf and Amazon (paperback and Kindle). Here’s the trailer, complete with a song written especially for the occasion by Niamh Ni Bhroin. Happy (belated) Launch Day to you, too! Our launch party got postponed a couple weeks so I spent the evening preparing for an early morning trip to Brussels. Let’s just say I’ll be writing about THAT fiasco shortly… As I was going through my hellacious day I kept thinking, oh Maria’s going to laugh at this! Congratulations Linda and enjoy the celebrations 😉 Honoured to be among the many excellent expat writers included in the anthology, including you! Thanks Carrie, enjoyed your story, too. Your point about having a British passport (and two British parents) not automatically meaning you know every single cultural intricacy is well taken. I’ve been hearing a lot of good things about this book lately. I can’t wait to read it. Good Luck! Thank you Maggie, there are lots of great stories in it. You’ve got your own expat book I’ll be writing about soon, Fly Away Home! Why, thank you ma’am for your mention! If we can’t find humor in expat life we may as well give up now! On a practical level this book is a tremendous resource and mine of information for anyone contemplating living overseas. More importantly it’s written by people who are living an expat life, understand the problems and let us know we are not alone. Humor is our salvation and laughter the one thing that can lighten the load when things get tough. I’m thrilled so many are talking about Forced to Fly. it has so many good stories in it. You’re right about laughter helping to lighten the load. I had a day from h@!! today and will definitely be writing (now that I am laughing about it). Congratulations on the new edition, and thanks for all the hard work! Can’t wait to read the book. I’m an American living in NL, always looking to learn from others’ experiences. Thank you, Mandie, and welkom. Where are you in Nederland and how long have you been here?